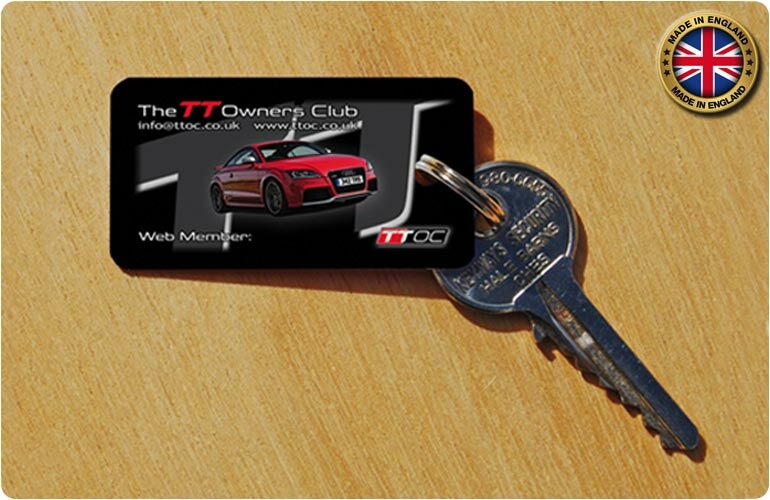 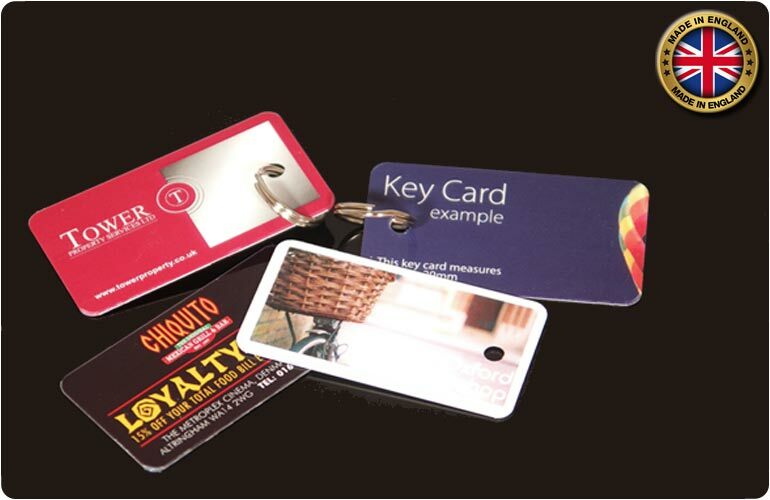 Our full colour key tags are the perfect choice of plastic card if you want your customers to keep it with them at all times. 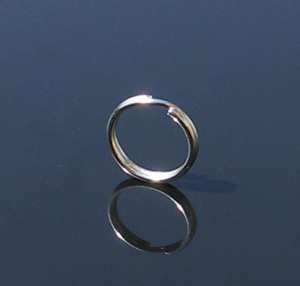 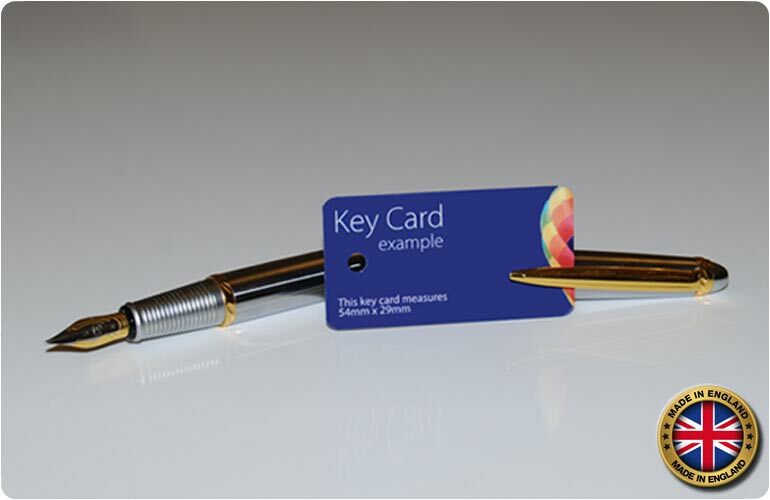 They are a convenient size to be clipped onto a key ring and we can also supply the metal rings (either attached or unattached). 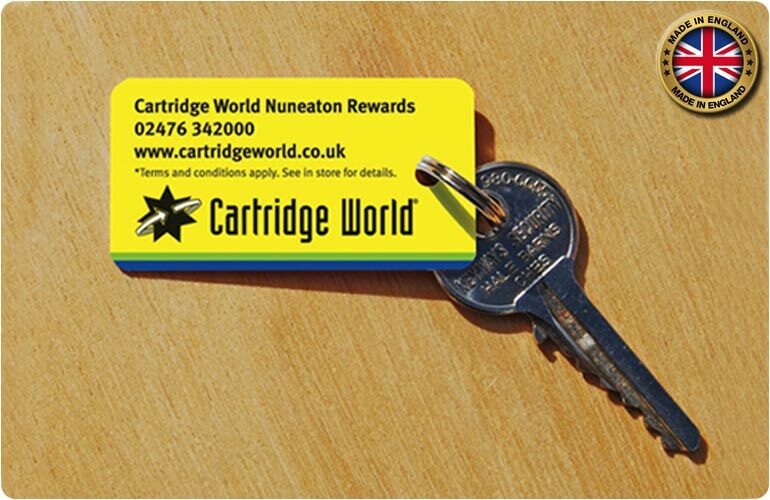 Our key tags measure 54 x 29mm and come with a round 4mm diameter hole so they are ready to be clipped onto a key ring! 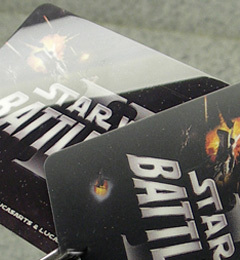 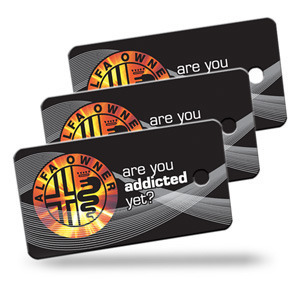 If you are looking for durable solid plastic key tags, then ours will be ideal for you. 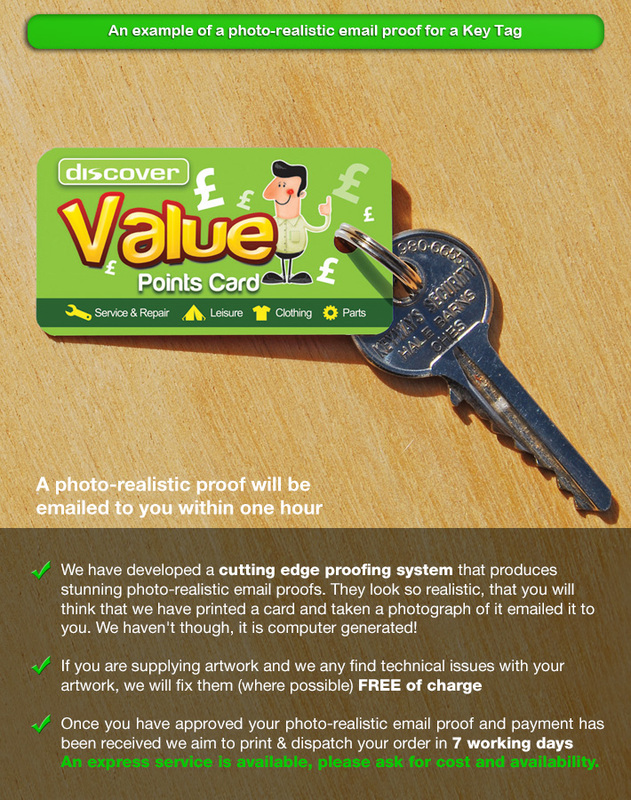 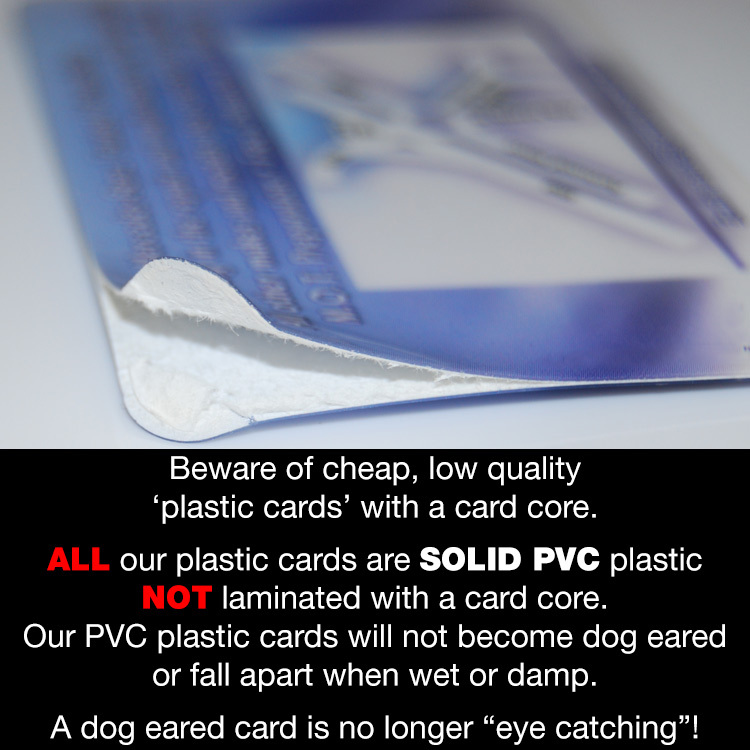 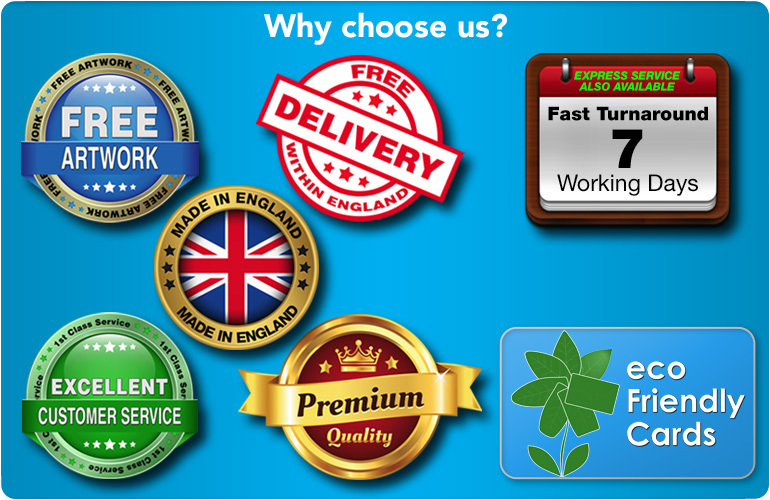 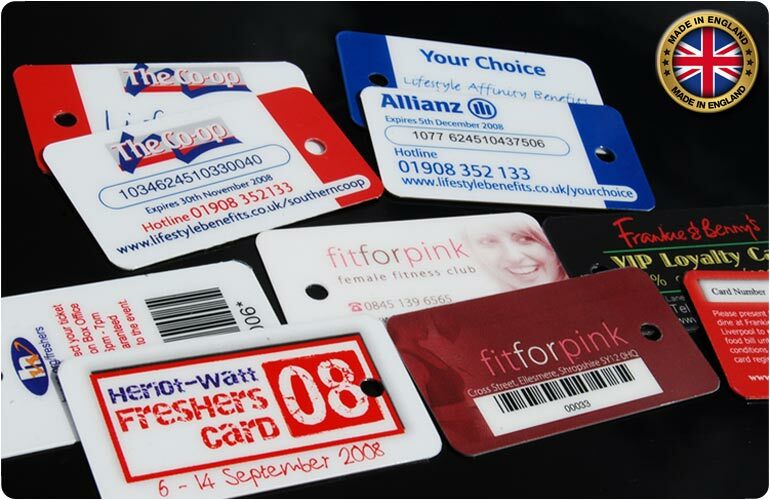 The printing is under the plastic surface which protects it from being worn away and as with all our plastic cards, we print them in England which ensures that your key tags will be the best quality and delivered quickly. 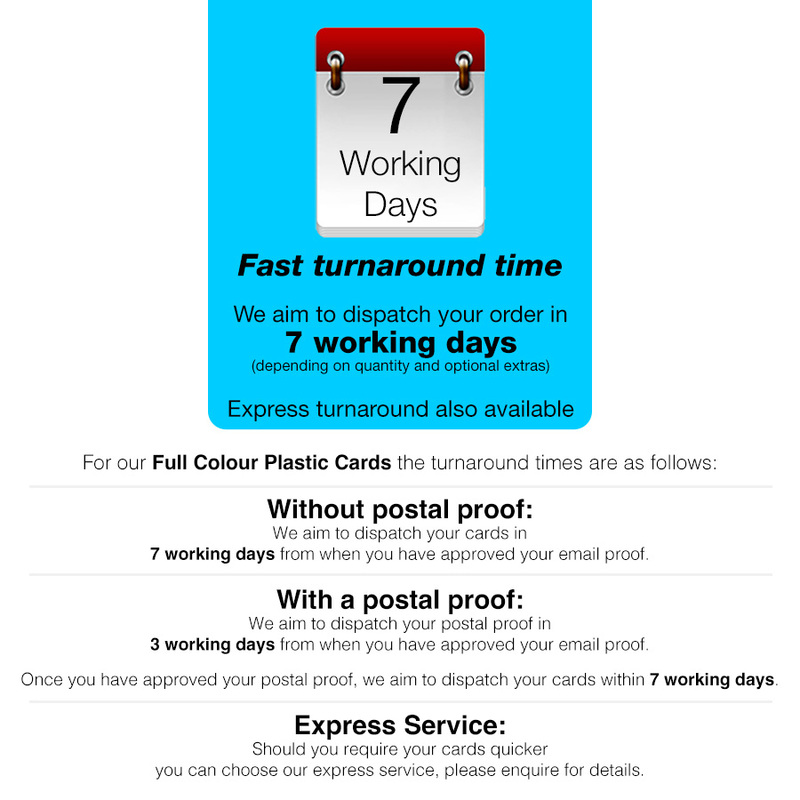 We have a wide range of optional extras such as barcodes and sequential numbering. 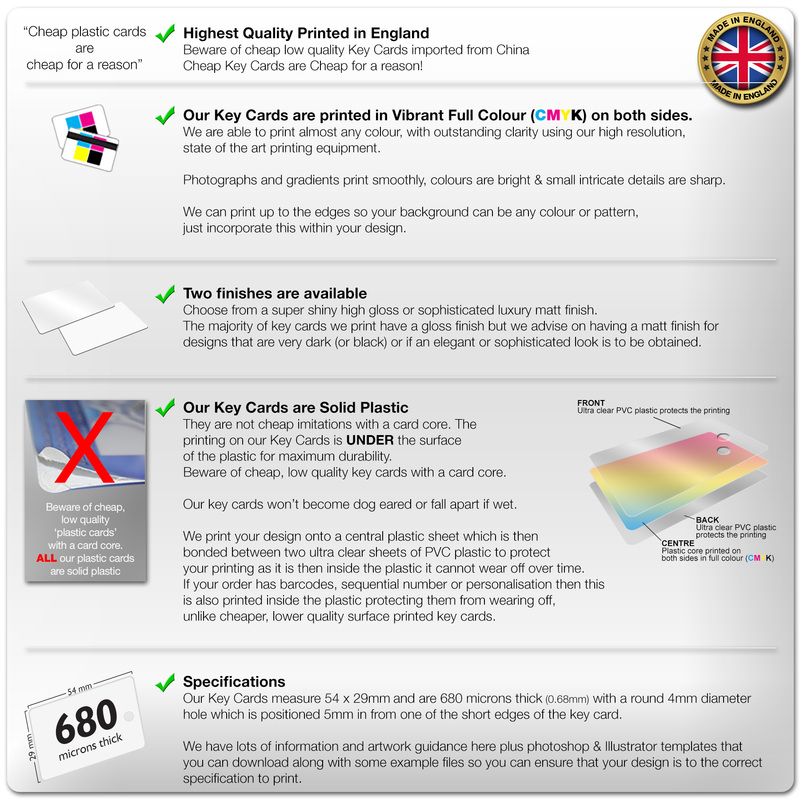 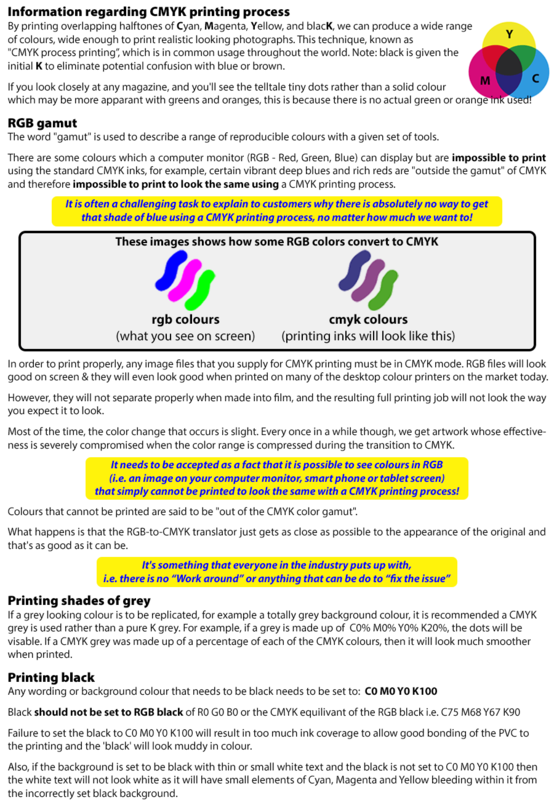 Our Key Tags are solid plastic and are printed in vibrant full colour (CMYK) on both sides under the plastic surface for maximum durability. 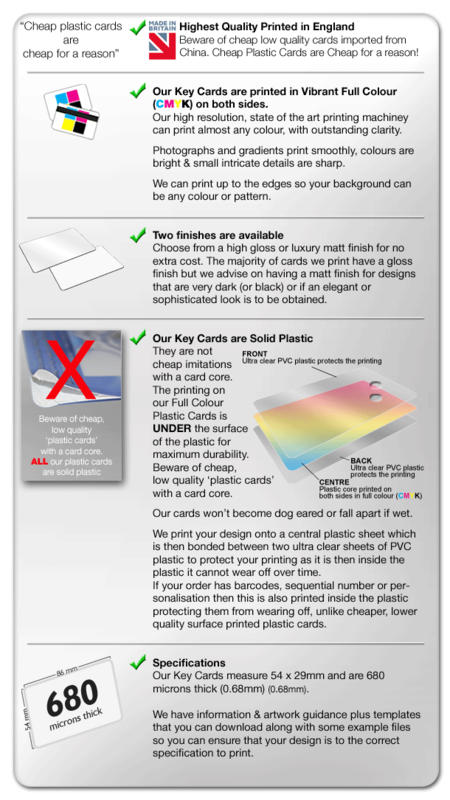 Choose from a high gloss or luxury matt finish. 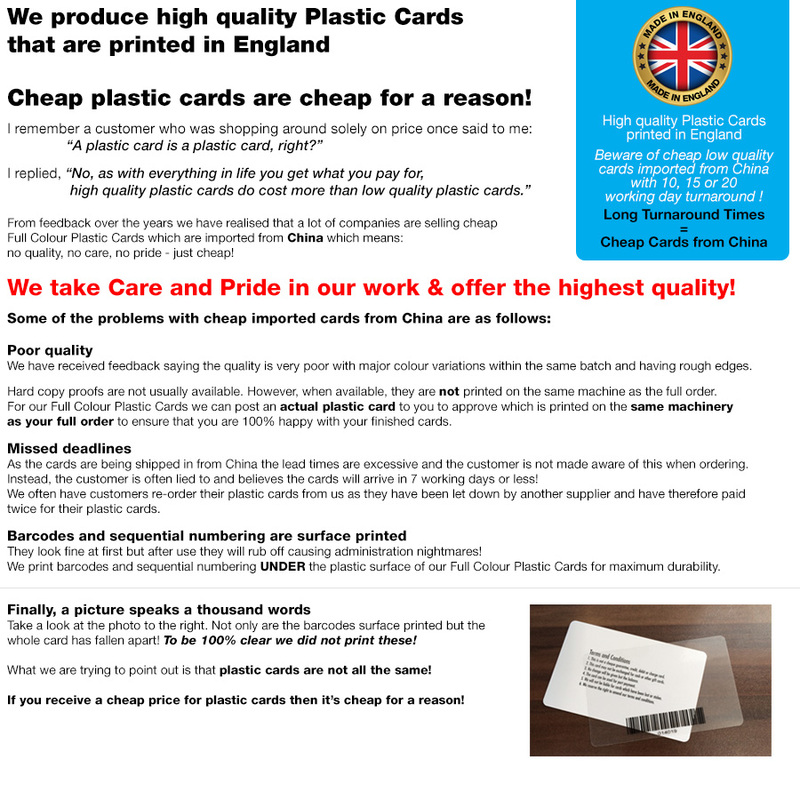 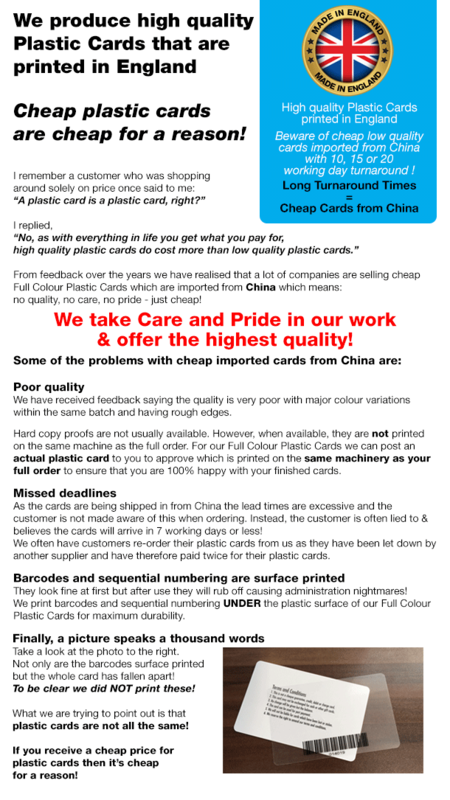 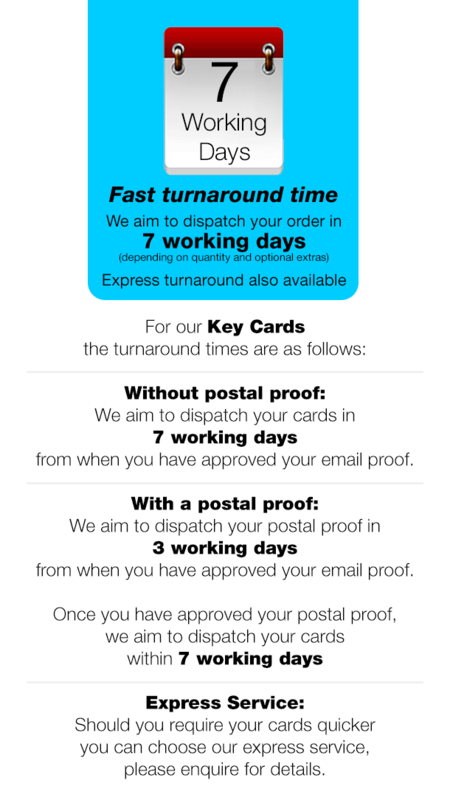 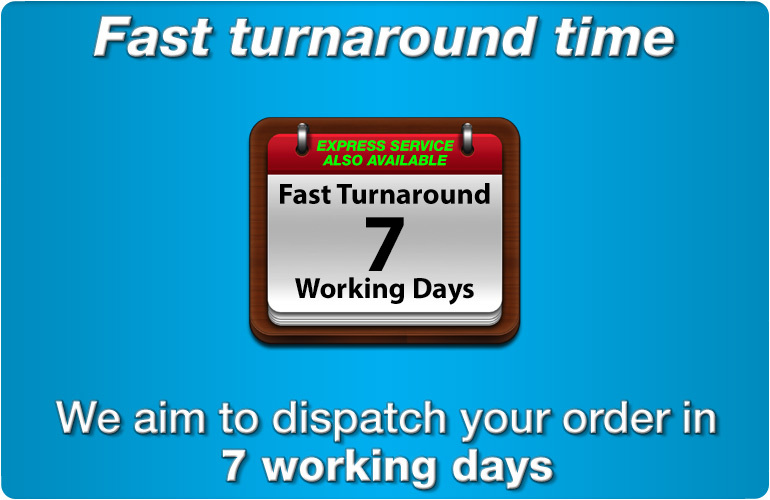 Learn how quick and easy it is for you to order your cards.